After celebrating Johann Sebastian Bach's birthday in Bethlehem, Pennsylvania, the Bach Collegium Japan arrived in Boston, offering a selection of concerted music in much the way residents of Leipzig, Germany might have heard it at the coffee house in the 18th century. 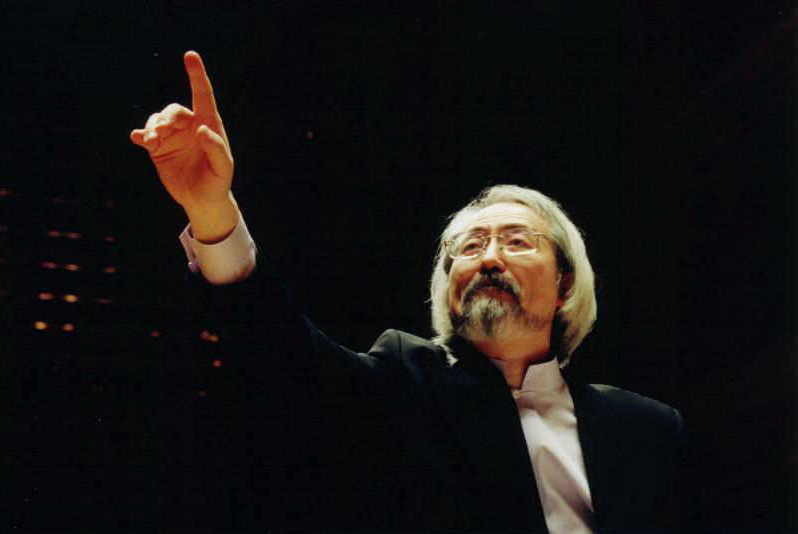 With Maestro Masaaki Suzuki at the harpsichord, it became quickly apparent why BCJ is probably the premiere period instrument Bach orchestra in the world. Their sound is pure bliss. The climatic highlight of the night was the Brandenburg Concerto in D Major, BWV 1050. Joining the Suzuki and the harpsichord as solo instruments were Liliko Maeda on flute and Ryo Terakado on violin. Suzuki's fingers danced across the keys, especially in the cadenza. Tension between the three solo intruments was perfectly balanced, allowing Bach contrpuntal genius to coruscate. There was but one misstep in the evening's program, the selection of Orchestral Suite No. 2 in B Minor, BWV 1067. Though this is a gorgeous composition with a beautiful flute solo, in Jordan Hall the baroque flute was overpowered by the orchestra of two violins, viola, cello, double bass, and harpsichord. The difficulty was not Maeda, who proved her prowess in the Brandenburg, but the nature of her wood instrument. Without amplification (which is anathema) the large space simply swallowed the sound. A final note on music in Boston. Jordan Hall, which is not a large hall, was hardly filled. I'm sure (though I ask our friends to confirm) that tiny Bethlehem, PA saw a much greater turnout for the BCJ concert at Moravian Central Church. Certainly it is true that Boston offers a plethora of music opportunities throughout the year, but it is in some ways depressing that the appearance of BCJ would only be attended by the afficianados of the city. If this continues, I fear there will be fewer and fewer opportunities to see world class talent in one of this country's cultural centers.